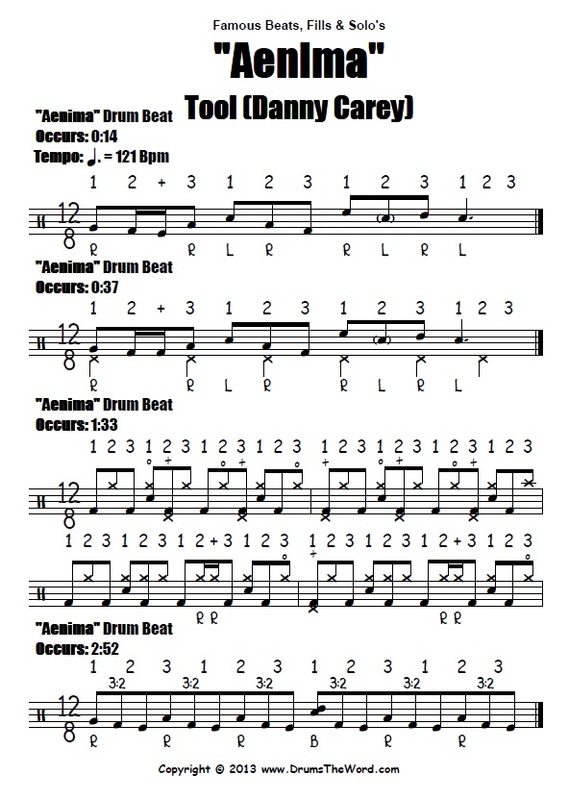 The first two drum beats are a tom based groove in 12/8. The second drum beat is the same as the first, but incorporates a stepped hi-hat creating a really cool polyrhythmic effect. The third four bar sequence shows how the opening of the hi-hat can create even more polyrhythmic possibilities. 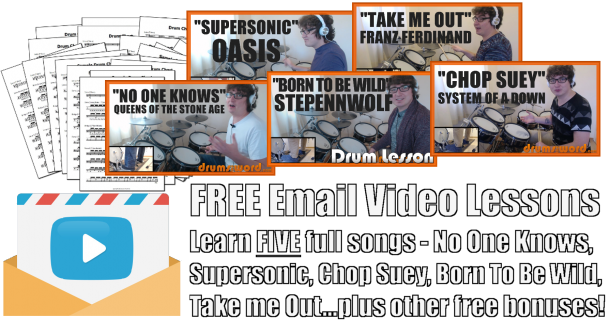 And the fourth groove show how simple it is create a very cool double bass drum groove.